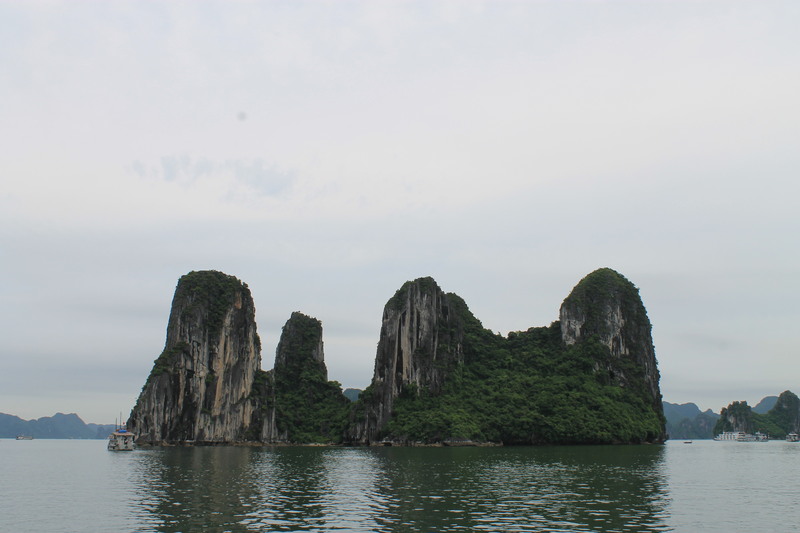 As you can see from the pictures, it sadly was not the sunniest or clearest day when we visited Ha Long Bay. No matter, it’s beautiful regardless. If anything, a little more interesting and mysterious, what with the fog and mist and all. We took a fantastic trip with Intrepid Travel; our guide was one of the best I’ve ever encountered. He knew his stuff inside out, and managed to explain it in a way that continued to be interesting and engaging all day long. 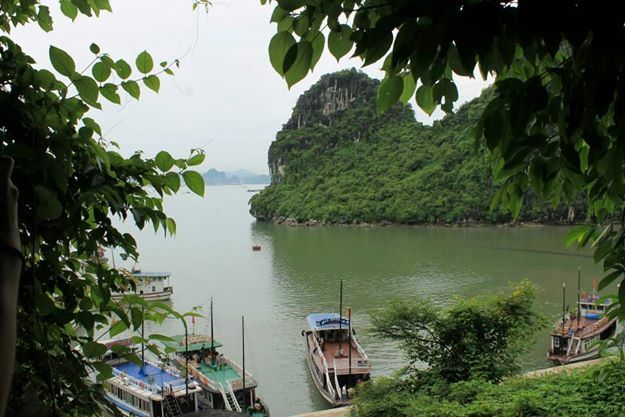 If you’re interested, this is the trip we did, and for $118 per person including transfers, an enormous lunch, a top notch guide and driver, and a few other little surprises, it was money VERY well spent. For an extra, very tiny fee (so small I can’t actually remember what it was now! 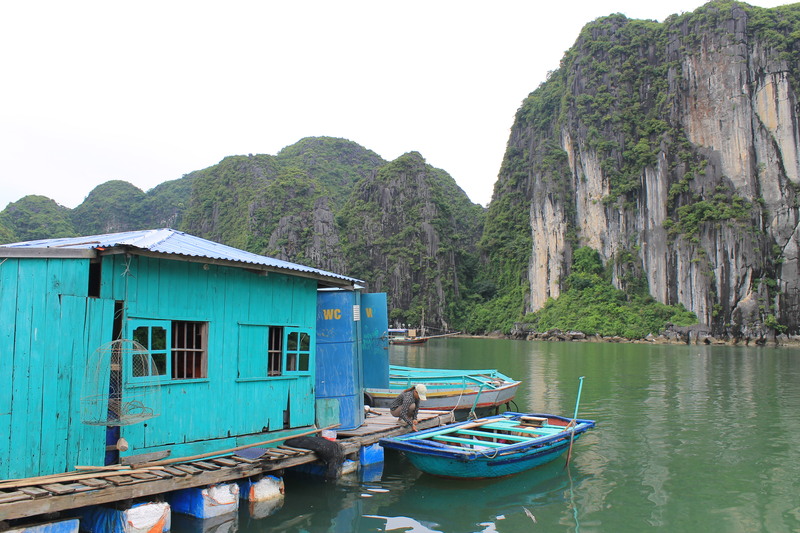 ), we paid the locals at the fishing village we visited to hire out a few canoes, and paddled ourselves around for a while. 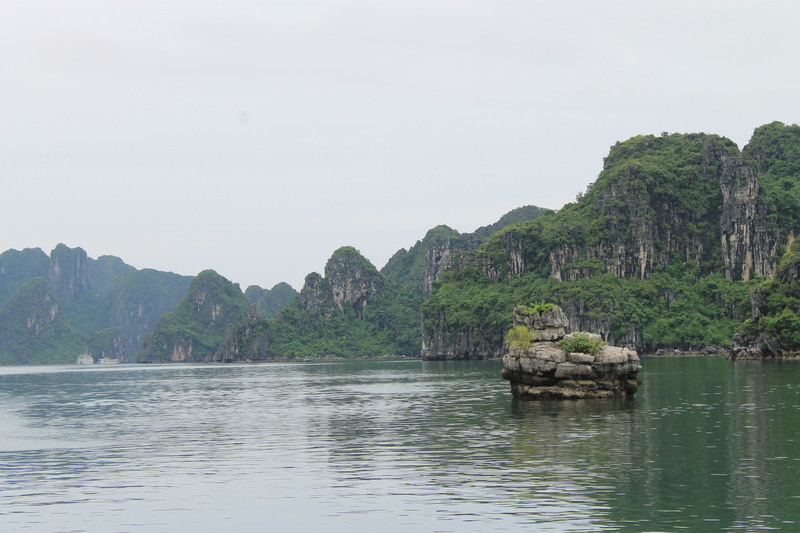 It was a truly incredible experience, to be out on the calm, still water, enveloped in calm. 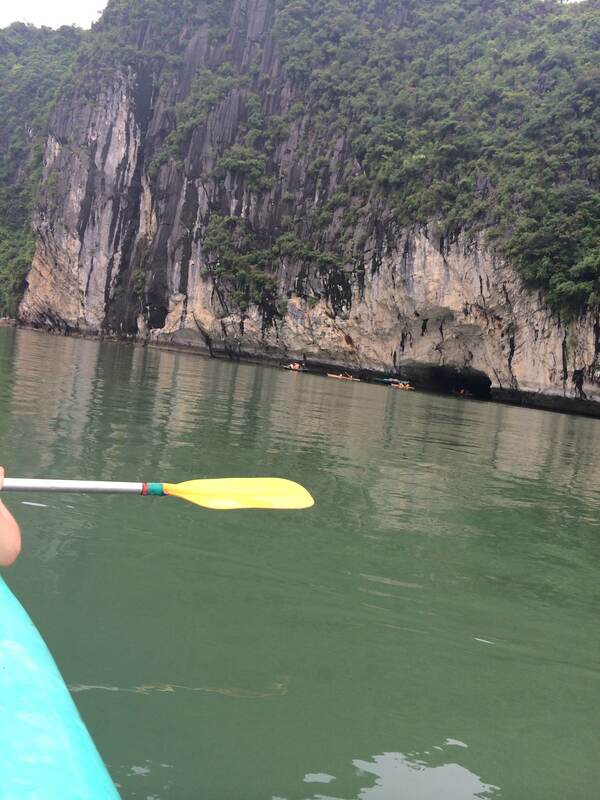 Thanks for taking me back to Halong Bay. I went there in the 90s and I would love to return, so in the meantime, I can enjoy your photos. And with those tasty crabs to eat, magic place. Oh yay! So glad you enjoyed it! Yeah, I haven’t seen a heap of first hand pictures that are cloud free either, but it honestly just made it more amazing in real life! 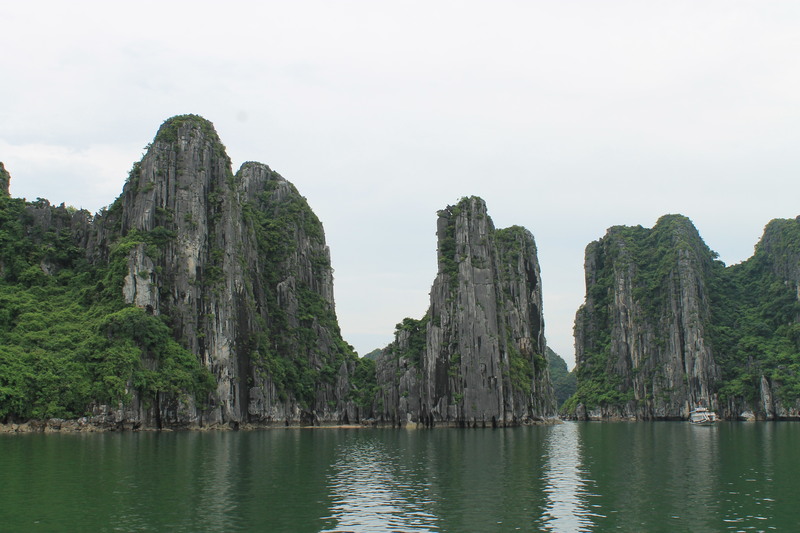 Pingback: Wanderlust Wednesday: Thiên Cung Cave, Ha Long Bay, Vietnam | Eat. Travel. Blog.